MILWAUKEE, WI--(Marketwired - December 09, 2015) - Zywave, Inc., a leading provider of software solutions for insurance brokers, has launched the Total Support Spectrum -- an entire toolkit of presentation and marketing materials that insurance brokers can use when presenting to prospects and clients. The new materials help brokers easily and effectively explain and demonstrate the value of being a Zywave-backed broker. CEO Dave O'Brien explains, "If a broker has a prospect meeting tomorrow, he or she can use the ready-made marketing materials we've created, walk in to the meeting and talk confidently about the amazing client experience that they can deliver. Our commitment is to drive results for brokers -- this entire initiative is aimed at doing just that. We want brokers to have everything they need for a powerful pitch and a presentation that stands out from the rest." The toolkit of materials available to insurance brokers includes: customizable PowerPoint presentations, recordings of example presentation scripts, designed PDFs that brokers can email or present to employers, and email templates and social media posts for their own promotion. All materials are unique to property and casualty, employee benefits and full-service insurance brokerages. "It's like having a marketing team at your fingertips that helps you achieve growth and retention results," says O'Brien. These new materials are available exclusively through Zywave. Materials can be accessed in Broker Briefcase®, for those who have the Zywave solution. Otherwise, all insurance brokers can access the entire toolkit on the Zywave website. Many brokers talk about the traditional services they offer, such as claims and billing assistance, plan quoting and renewal negotiation. Some may even provide technology services focused on addressing the pains of HR. 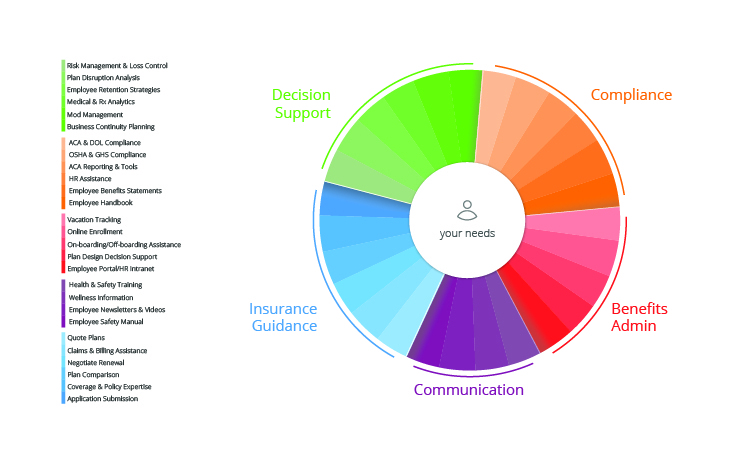 The Total Support Spectrum shows how Zywave-backed brokers can set themselves apart and offer a complete client experience. They are breaking away from the mold of the traditional broker and differentiating themselves from tech giants that lack the personal touch and insurance expertise that an independent broker provides. "Every year we survey thousands of employers and ask them what they are looking for from a broker," says O'Brien. "What employers are saying is that they want and expect more than just the traditional service offerings. They want help with compliance, benefits administration, employee communication, risk management and decision support. They want all of this help and support to come from a trusted source -- their broker. Our partners have the insurance expertise that employers expect, and, because of their investment in our solutions, have the ability to provide resources and support in areas ranging from compliance to communication. Simply put, this new toolkit helps the broker tell this incredible story." Zywave is a leading provider of software-as-a-service (SaaS) technology solutions for the insurance industry. The company's products include web-enabled marketing communications, business intelligence and analytics, client resource portals and agency management tools. More than 3,000 brokerages worldwide -- including more than 90 of the top 100 U.S. insurance firms -- use Zywave's proven solutions to differentiate themselves from the competition, enhance client services, improve efficiencies and achieve organic growth. To learn more, visit www.zywave.com. 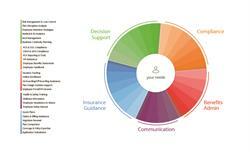 Present a holistic client experience with confidence. Brokers can use this new toolkit of materials to get their foot in the door with prospects and to demonstrate their value with current clients. Zywave CEO, Dave O'Brien, talks about why he's excited to launch this new marketing toolkit for brokers.